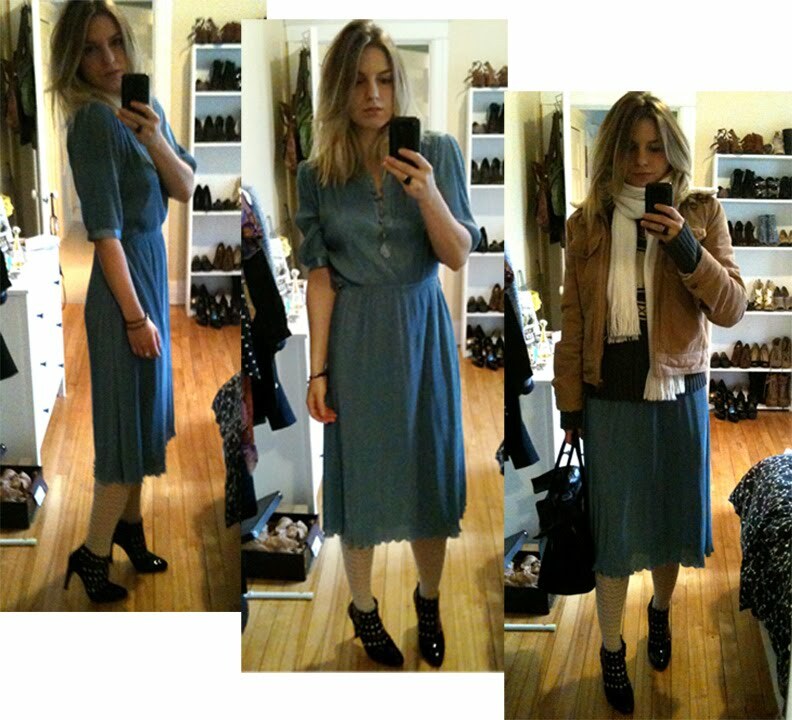 I bought this dress in Paris when i lived there after falling in love with the Burberry fall 09 show. I had never experienced with this length of dress before but i was smitten - never thinking it would become the new standard. So let's give Burberry the real credit for starting this trend, an entire year before the whole Prada and Louis Vuitton craze. Oh and again, Burberry kicked off the shearling rage, so basically this outfit is all kinds of Burberry love. gorgeous colour on you! that dress is such a find. burberry is probably my favourite high end fashion house. c.bailey is always making clothes you want to wear. this dress is very cool! you look so pretty ♥ i miss you!!!! Yes- let's give Burberry all the credit lol ;) P.s Only YOU could pull this look off! The alaias totally tie this look together! p.p.s can't believe i bought plastic shoes lol!! Love this dress! Yeah I have lots that are quite similar to it for the simple reason that they're really the most flattering for my shape, now all of them are in style! Looks like great minds think and predict trends alike.